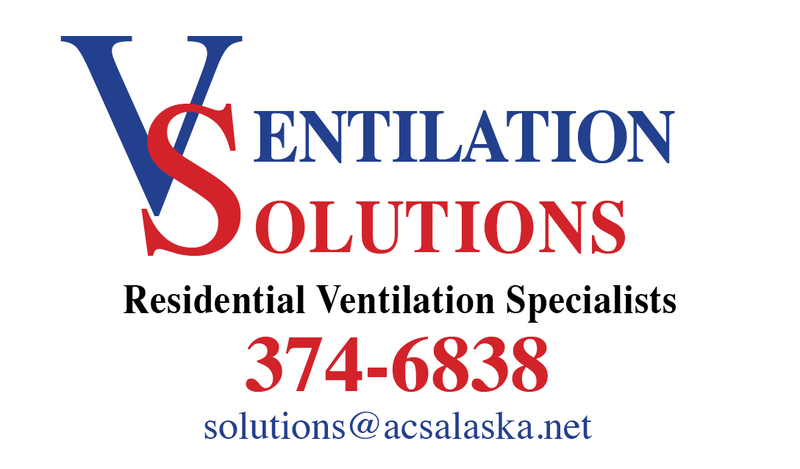 Ventilation Solutions - Why Filter? Mechanical ventilation of some kind is necessary in todays tighter houses. In many cases, an HRV or ERV is used to recover the heat or energy that has already been used to heat or cool the home. 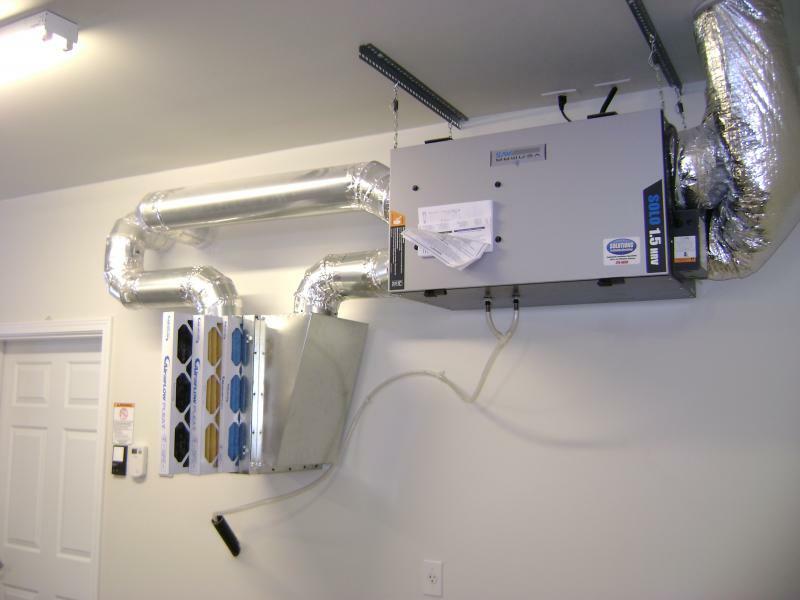 The HRV or ERV is used to replace the stale polluted air inside the home with fresh outdoor air. Most of the advertising seen today talks about how poor indoor air quality can be in todays tight homes. It suggests that replacing the stale indoor air with "fresh" outdoor air is the answer. That often works, but what about those days that the air outside the home is worse than the air inside the home? The air outside can be full of pollen, dust, car exhaust, industrial pollutants, smoke, smog, and a host of other pollutants. Any time the HRV or ERV runs, it brings what ever stuff is in the air inside with it and blows it into the living areas and the bedrooms. Both HRV's and ERV's do have filters in them. Don't let that fool you into thinking that you are protected. The filters are designed to protect the motors and the core's from dirt and bugs, not protect the occupants of the house from pollutants. The small size of the filters prevent them from being very effective. If they were a good filter, they would clog up so quickly that maintenance would be a constant issue. Venmar does offer a pleated filter set for use in the Solo line. These filters are better than the stock filters, but still have a limited surface area, and require frequent replacement to maintain good air flow. In the summer of 2004, over 3.6 million acres of wildfire burned in alaska. The smoke was so thick in Fairbanks that visiblity was less that 100 yards at times. Many people with respiratory issues had to leave town to get away from the smoke. The problem during the smoke was that it was miserably hot, but you could not open your windows or turn on your HRV because that brought smoke into the house. Every freestanding one room air filter system in town was sold out. The most effective units had a 3 stage filtering process, with a prefilter, a HEPA filter and a carbon filter for removing the odors. We looked at a way to combine the filtering capacity of the one room air filters with the HRV ducting and air distribution system already in many houses, eventually we figured out our current design. We were looking for excellent filtering capability, very low air flow losses, easy installation in a variety of different configurations, and affordable filter replacement costs. Our system provides all of these. Our filter system holds 3 filters. A 1" prefilter to catch the big particles, A 2" main particle filter to catch small particles, and a carbon filter to remove odors, aerosols, and VOC's. Our filters are a standard size available at most hardware stores and at HVAC stores across the country. Standard sizes mean easy to find and inexpensive to replace. The level of filtration that can be used in our system can also be adjusted to meet the needs of the environment and the needs of the customer. Our standard set of MERV 8, MERV 11 and a pleated Carbon filter offer effective protection at an affordable price. For times when the air is more polluted, or for customers with sensitive respiratory systems, a MERV 8, MERV 15, and Activated Carbon filters can be used. We believe that our air filtration system for HRV's is the most effective, most flexible, and least expensive to maintain whole house air filtration system available anywhere. An HRV with the air filtration system. The door is open and all three filters are visible. The air comes in from outside, goes through the HRV, then through the filters and into the house.